It includes initial examinations, re-examinations, progress notes, daily notes, discharge summaries,evaluation and treatment profiles will contain evidence-based tests there by promoting evidence based practice in India. It replaces manual schedule books or practice scheduling software that is not integrated with your clinic’s patients records and assesments.Your schedule, documentation and patient records work together to coordinate your team and eliminate missed appointments. It provides the office manager or clinic owner with real-time business intelligence to improve operational decision-making and Easily track your businesses growth and even see which marketing channels or referral sources are the most effective. It gives the privilege to create, edit and manage the mode of payment of each and every bill, so that you can keep track of the payments, like cash, cheque or online transactions. You can even edit the cheque numbers or delete it along with payment. 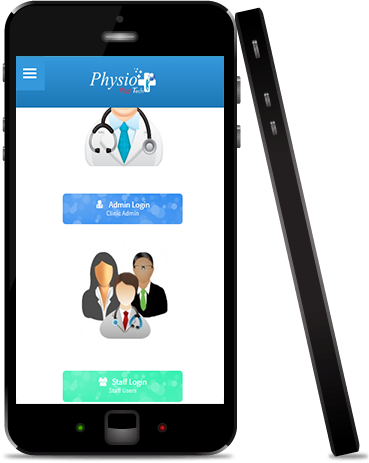 India's No.1 Physiotherapy software now joins with the No.1 Cloud hosting provider of the whole world. Now we assure you 24x7x365 uninterrupted online service st no extra cost. Now Prescribe exercise to your patients very easily from our vast exercise library, Your patients can access the exercises Via Whatsapp, Facebook, email or just a print out. We have integrated Paypal to avail you the facility for easy online payment for international clinets. This is the most trusted payment portal worldwide. We have developed a Free Android app, so you can keep track of your practice even while you are on the move at your mobile. Start your free android app now and make your practice more advanced. We have Analytical Charts, to provide your insight on Number of patient visits, successful cases, missed appointments, Income generated, variety of conditions treated. We are using Amazon Cloud Hosting which is highly secure in storing data and avoid data loss by multiple storage locations. 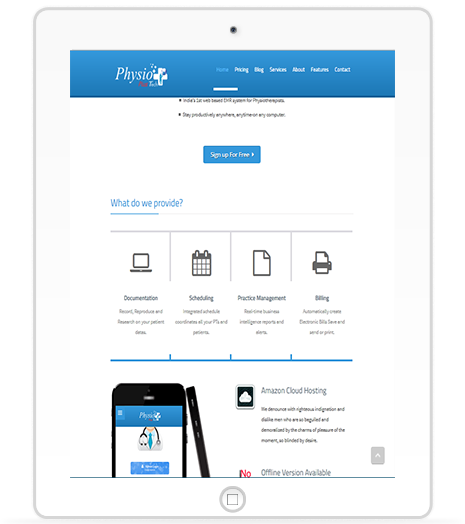 Physio Plus Tech software has been developed as highly responsive and so its easy to use the software in computer,laptop, Tablets and smartphones.